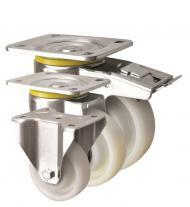 Our range of extra heavy duty caster wheels provide strength , durability and manoeuvrability. 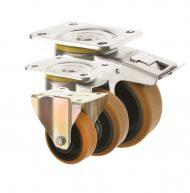 These 5000 Series castors are the real power house of our castors range. 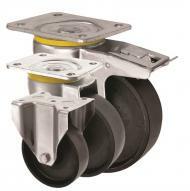 With individual load capabilities per castor from 300kg up to 800kg each, these castors are specifically designed for extra heavy duty applications. 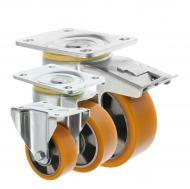 Put four of these 200mm heavy duty polyurethane castors on a trolley and you can expect them to move up to 2.5tonnes. 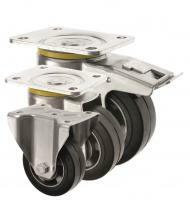 These heavy duty top plate castors can be supplied in combinations of swivel castors, fixed or braked. 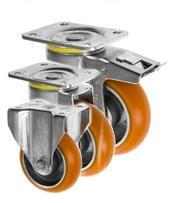 The braked castors have a foot brake that is easily operated and simultaneously brakes both the swivel castor head and the wheel. With 3 sizes from 125mm diameter wheels, 160mm diameter up to 200mm diameter wheels there are plenty of options to suit your application. 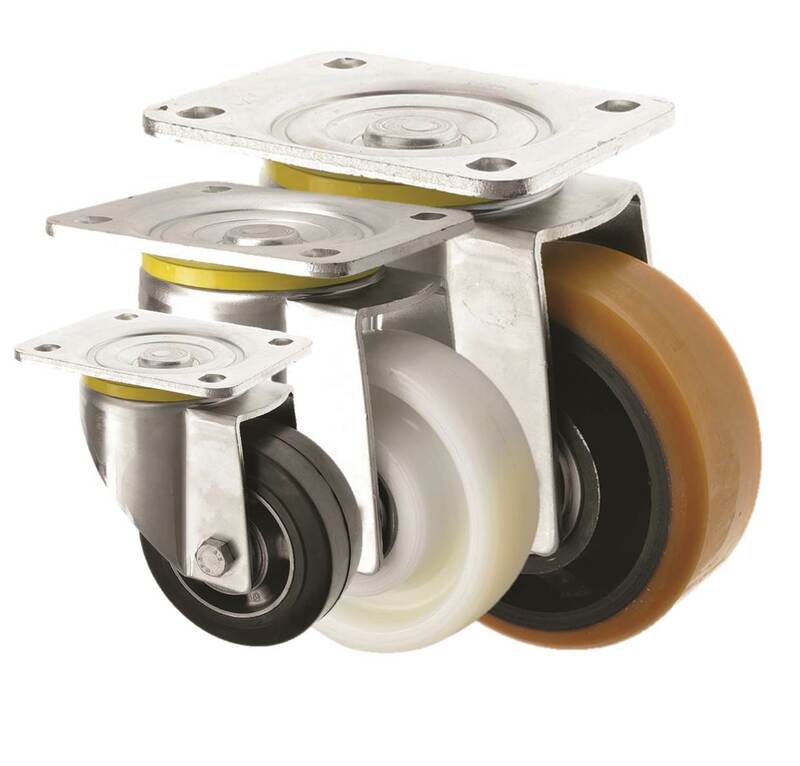 We can offer 5 alternative wheels in these castors, the rubber wheeled castors are a popular choice where a softer tread is required. We offer two polyurethane heavy duty castors, one with an aluminium centre and one with a cast iron centre for extra strength. We also offer a popular nylon heavy duty castor which is the most competitively priced of the range, and finally a cast iron heavy duty castor for high temperature industrial applications. So if you need to move heavy loads, on refuse bins, skips, cargo handling castors, industrial applications , heavy machinery and high temperature castors, then this 5000 Series is the one for you!